Growing Watermelon is easy, but needs plenty of room in your Organic Garden. Watermelons require full sun and warm weather. It's best to plant seeds as soon as all danger of frost has past in the spring and the soil has warmed to about 65ºF. To get a jump on the season, start your seeds in flats just before spring indoors or in your green house. 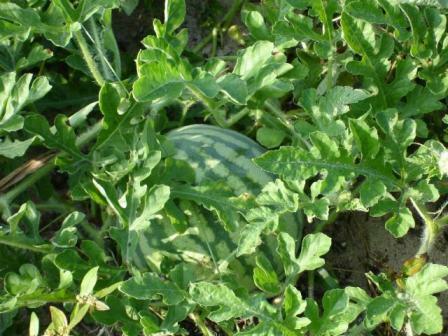 Watermelons will benefit from soil rich with compost. 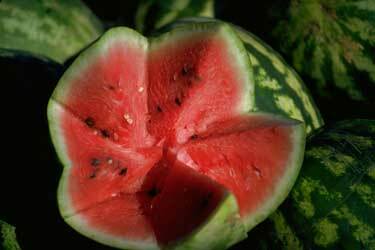 Watermelons require a lot of water, as they are 90% water. Knowing when to harvest can be difficult. One method is the "tendril" method. If the tendril closest to the fruit has turned brown, then it's usually ready to harvest.